It’s been 13 years since Billy Bob gave us his Bad Father Christmas. And no, the wait has not been worth it. What was once a deeply damaged, almost satirical take on all things Yule, has simply been retreaded here as the equivalent of the come as you are standard R-rated gross out number. What it lacks is wit, grace, and a certain nimble quality that the original knew how to dance around. This is just potty mouth for the sake of potty mouth. And little more. The gang are back – Billy Bob, Cox and the – deliberately – odd Kelly as Thurman Merman, a role that now seems to border on the exploitational. Kathy Bates is added to the mix as Bad Mum, but struggles to do her best. 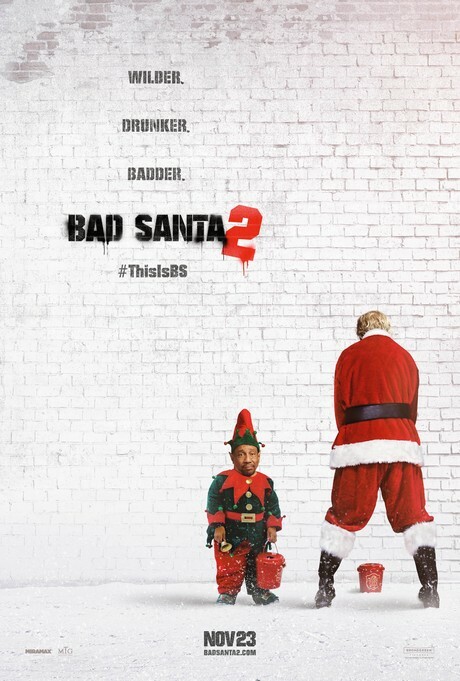 In what is basically a remarkably underwhelming plot – they want to rob a charity – Bad Santa 2 barely fights to retain any level of momentum. Or even interest. Billy Bob wouldn’t be Billy Bob if one or two of the lines didn’t hit – but even he must know just how incredibly lame the script is here – Johnny Rosenthal and Shauna Cross hold your hands up – you are guilty! For something so simplistic, it spends an hour and a half you’ll never get back feeling remarkably convoluted. Woefully unfulfilling and incredibly crass – but not in the way you want it to be. Just “crass” as in ridiculously wrong, painfully bad. Oh, and unfunny. If this is Christmas - bring on the secular universe. ‘Tis the season to pass this one over.